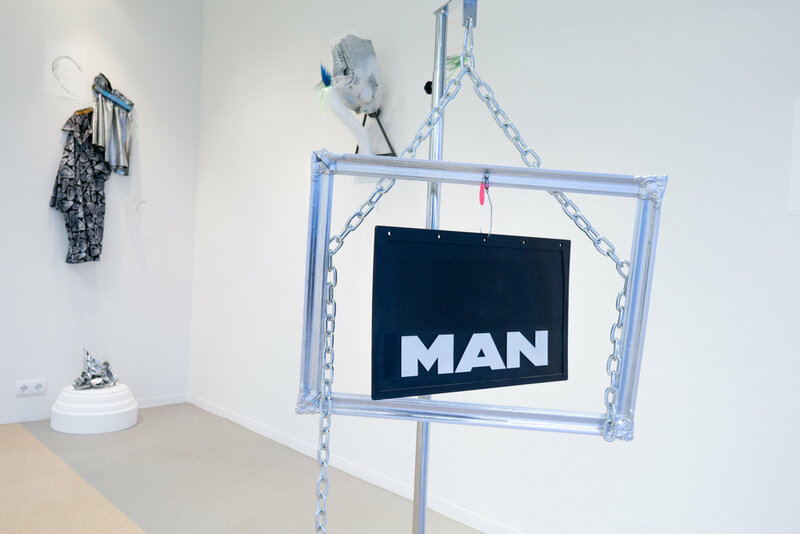 MAN, I feel like a Woman, 2017, solo exhibition in Gallery Hvítspói, Akureyri, Iceland. 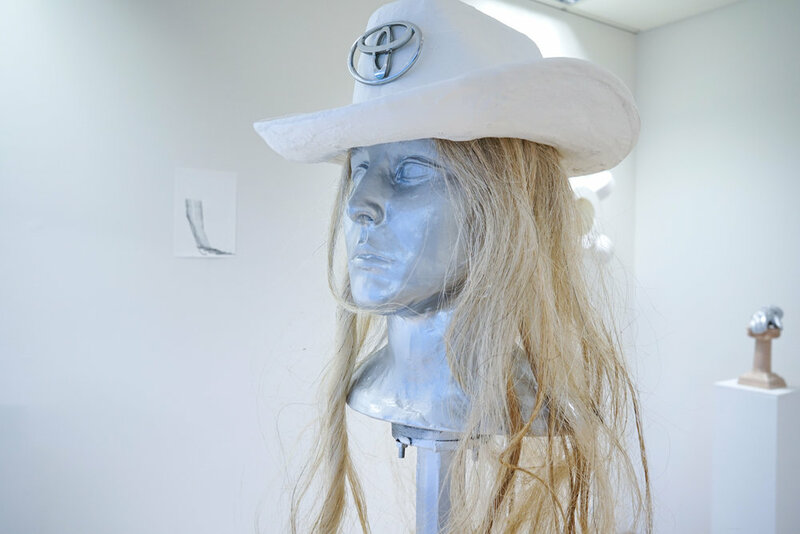 The exhibition was inspired by Shania Twain's song, Man I feel like a woman, in which Auður used the lyrics as a research topic for the installation. The drawings functioned as the reading of the inner emotional life of the objects. Metal, chain, spray painted wood, rubber, angle bait. Totally crazy, forget I'm a lady. Plaster, horse hair, Toyota sign, acrylic spray paint, metal and polyurethane. Exhaust car part, metal, plaster, paint, plastic and dyed rabbit hair. Ceramic, metal, paint, plastic and leather strap. Get a little outta line. A little out of line. Ceramic, golf glove, plaster, spray paint, varnish.